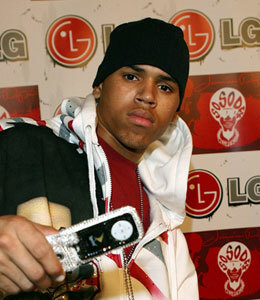 A text message fueled the fight between Chris Brown and Rihanna during the early hours of February 8. Now the woman behind the text message is finally revealed! TMZ reports it was Tina Davis -- Brown's manager! The two are rumored to have had a relationship when Brown was 16, but they have never admitted it. The affidavit says the text was "from a woman who Brown had a previous sexual relationship with." Davis turns 40 later this month, Brown is 19.